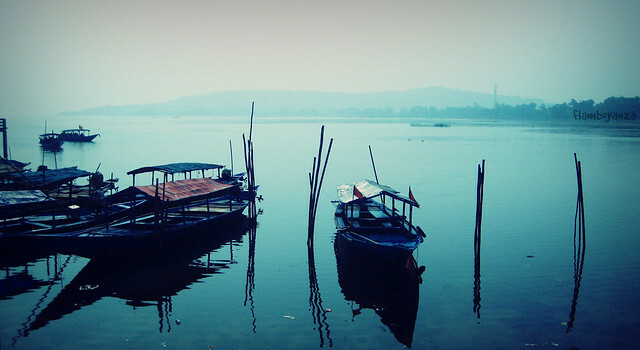 The Odisha is a nice place for the travelers. Many of the people travel at this place from different parts of the country. There are great variety of gift items that can be buy from the different markets in Odisha. Many of the spots are worth seeing in Odisha. However, while traveling the new travelers should have a knowledge regarding the weather in Odisha. In winter, the climate is cool in Odisha, while in summer the climate is very hot in the summer. Also, the occasional rains happens in the Odisha, so carrying an umbrella is recommended. The climate near the seashore is very humid in the Odisha. The rains occur usually in months of June, July, August, September, November, December in Odisha. The summer season in the Odisha is comparatively very hot. Many of the travelers coming form long distance find it very difficult to adopt with the heat. So, wearing cotton clothes are always best in summer season. The cotton clothes will keep the body a little cool in the hot climate. Most of the hotels in Odisha offer the food in Odisha style. Many people may not get adapted with it easily. People from North India or other parts of the world have different eating pattern. So, searching a proper hotel where one can eat the dishes he like properly is always recommended. These hotels will surely offer the familiar dishes which they like to eat. There are many of the security issues in some of the parts of Odisha. So, there are some of the occasional check ups of the tourists coming here. These checking may be problematic for many of the traveler’s. However, carrying appropriate documents and id proofs can surely help you to minimize the trouble. There are some areas in Odisha which are flooded heavily with mosquitoes. This is becomes very irritating on many occasions. So, using a proper mosquito repellent will always help you out, to avoid the problem arising from this. The mosquito repellent are usually very important whenever small children are there with the travelers coming in Odisha. Odisha is having a very nice and appreciable culture. Jagannatha temple in Puri, which is one of the Char Dham in Odisha is very well-known place all over the world. The Rath Yatra carried in the Odisha is very famous. The Cuttack dance is having a great art work in it. The architectural work of Sun Temple at Konark is very fantastic. All, these different shades of Odissa culture is really awesome. Traveling in the Odisha is really an enjoyable experience. However, one needs to have a proper knowledge regarding the destination to visit, the proper roads which can take to these destinations easily and proper guide to enjoy different places in Odisha. There are many of the travel guide available in the Odisha, who can give a very nice guidance for the travelers here. Many of the people may not get easily adapted with the water of Odisha. As many people find the taste of local water different who come from long distance place. As, water being one of the important factors in eating and drinking, so an improper water can really create the problem. So, carrying the proper mineral water is always recommended which can make the traveling more fabulous. There are some places in Odisha, which are a little crowded. There are possibilities of theft operating these areas. Many of the travelers had a bad experience, where there pockets were literally steal by the theft. Loosing a pocket sometimes becomes very problematic as one not only loses the money in it, they even loose some of the important cards in it. So, be very careful regarding your pocket while traveling in rush. Many a times people thinks regarding the transportation network in Odisha. However, one may not worry a lot regarding the public transportation in Odisha. Their are different buses, cars available for the travelers to travel. Also, all the important places in Odisha are well-connected with the roads. So, transportation is quite nice here.